We’ve all done it. It’s easy enough to do. You’ve put too much chlorine in your pool. But is too much chlorine in your pool dangerous? And what are the signs? And how do you fix it? Of course, too much chlorine can be dangerous. Exposure to over-chlorination can provoke asthma, lung irritation, and potentially skin and eye irritation. As well as being potentially bad for you, it’s bad for your pool. High chlorine levels lower the pH of the water. It becomes more acidic. This results in corrosion of metal piping, pool equipment, and concrete surfaces. If your pool has a liner, the high water acidity can damage it. And it can have the same effect on your swimming cossie. Having said that, however, there are some myths that need to be put to bed. No you can’t. What you’re smelling isn’t chlorine: you’re smelling chloramines. In fact, the “chlorine” smell actually means your pool has too little chlorine. Or, at least, too little free chlorine. Chlorine oxidises body oils, suntan/sunblock oils, cosmetics, sweat, urine, and other human bodily waste, as well as bugs, leaf mould, etc. What it does with them is to produce ammonia based compounds of chlorine called chloramines. That’s what you’re smelling! The residual chlorine that hasn’t yet oxidised organic matter is called free chlorine – and that doesn’t smell at all. Basically, your pool has 2 types of chlorine: free chlorine and combined chlorine. Free chlorine is “good” chlorine: it’s still available to kill germs. Combined chlorine is chlorine that’s “combined” with and oxidised organic matter. When the combined chlorine level gets much above 0.2ppm it’s time to get rid of it. And the only way to get rid of it is by shocking the water with – guess what – chlorine. Well, yes it can. However, in 9 times out of 10, what’s stinging and causing you red eye actually isn’t chlorine; it’s the chloramines. Or rather, it’s because the chloramines are affecting the pH balance of your pool water. The human eye has a pH between 7.4 and 7.6. If the pH balance of the water is too far outside of this range it’s going to irritate your eyes. As above, most of the time it’s not the chlorine that’s irritating your skin – it’s the chloramines and the pH of the water. The important point is this: chlorine kills bacteria. But chlorine works most efficiently in water with a pH of 7.4-7.6. 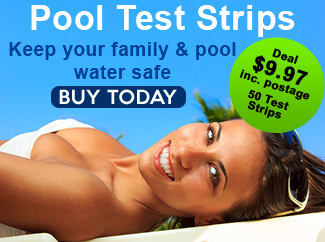 At a pH of 8.0, chlorine’s germ-killing capacity is 80% less effective. No it doesn’t. What turns blond hair green isn’t chlorine – it’s copper. To be fair, some chlorine manufacturers include copper in their product; but copper pipes or a copper heater can also introduce the element into the water. The green hair thing is caused by letting copper infused water dry naturally on your hair and then, once you hair has dried, shampooing it. Since most shampoos have a pH of 9 or more, the shampoo oxidises the copper residue in your hair and turns it – yup – green. The way to avoid green hair is (a) to check the label on your chlorine to ensure it doesn’t contain copper, (b) to rinse your hair in fresh water after you swim, or (c) to wash your hair with a swimmer’s shampoo that has a lower pH. The first thing to do is to test the chlorine level. In order to figure out the best treatment method for lowering the chlorine level of your pool you need to determine the scale of the problem. 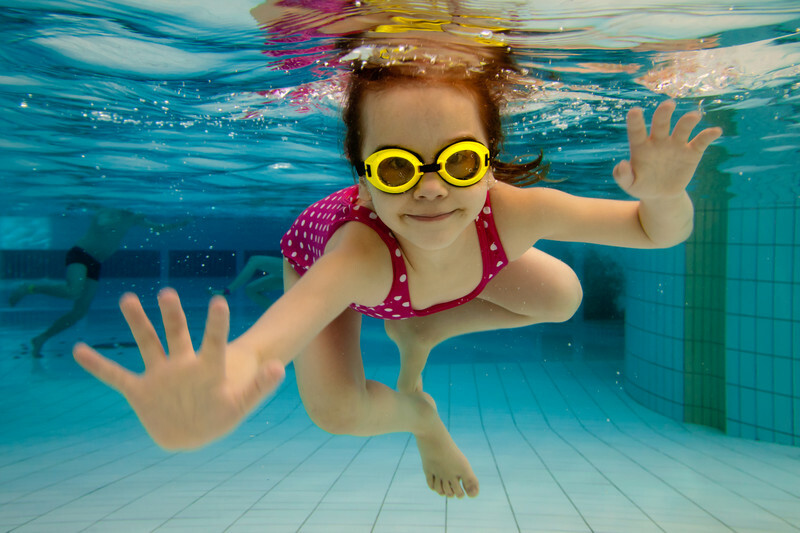 If the chlorine level is only slightly high – say, 4ppm or so – and presuming you’re not planning on using the pool for an hour or two, then the easiest answer is usually masterful inactivity. If the chlorine level is significantly higher – say, you recently shocked the pool but forgot about the pool party you’d arranged – your pool’s going to need an intervention. So, depending on the severity of the over-chlorination problem, and the amount of time you’ve got before you need to use the pool, here are your options. If your chlorine reading is only a little over 3ppm don’t sweat about it. Just stop adding more chlorine to the water. If you’ve got a chlorinator or a chlorine feeder, turn it off. If you use a chlorine floater, remove it from the pool. If you’ve got a chlorine tablet in your skimmer, remove it. As long as you’re not adding more chlorine to the water, by the time a couple of swimmers have jumped in and added the de-chlorinating effect of their smelly feet, armpits, and backsides to the accumulating dirt, debris, and bugs that constantly hit the pool, the problem will solve itself. If it’s a bright, sunny day and you’ve got a couple of hours to spare before you need to use the pool, just take the pool cover off. The ultra violet in natural sunlight destroys chlorine, and the direct sunshine of a cloudless day is quite capable of depleting 90% or more of a pool’s chlorine level in just 2-3 hours. Again, as above, don’t add chlorine to the water while you’re waiting for the natural sunlight to do its thing. Do monitor the water regularly, though, and resume normal chlorination when the readings drop to 2ppm. This is the quick fix, especially if you’ve really overdone the chlorine and you’re in a hurry. As with most quick fixes, though, there are caveats and downsides – but we’ll come to those in a minute. The two most common chlorine reducing chemicals are Sodium Thiosulfate and Sodium Sulfite. Alternatives include Sodium Bisulfite and Sodium Metasulfite. These chemicals are usually come in large bags and are a lot cheaper than commercially packaged “chlorine neutralisers” sold in bottles. Hydrogen Peroxide also works – although not the domestic hydrogen peroxide sold in first aid kits. As long as your pool’s pH is higher than 7 it will reduce the chlorine. Below 7 it won’t have much effect, so you’ll need to raise the pH before adding it. Whatever you use, follow the directions carefully. With the filter running, pour out a measured dose into the pool skimmers. Typically, 60 grams will reduce the chlorine by 1ppm in an average backyard pool of 32 m2, or approximately 41,000 litres of water). Make sure you add the neutraliser gradually. And don’t add too much at once or else you’re liable to destroy all the chlorine. If you artificially neutralise the chlorine it’s incredibly difficult to get it back up again. So only add around half of what you think you need, and then test the water before adding more. All these chemicals can dramatically reduce the pH of the water. So make sure you test the pH before and after adding the chemicals, and adjust accordingly. Also, if you artificially reduce the chlorine, the level of stabiliser (cyanuric acid) will remain the same as it was before. The net effect is that, if you later add chlorine via a tricholor tablet, the stabiliser level of your pool is going to rise. The stabiliser level needs to be maintained at 30-60 parts per million (ppm). Below that, chlorine rapidly degrades, and at anything above 100ppm, the stabiliser actually prevents the chlorine from sanitising the water. While this is a natural process of dilution, it’s not the quickest option. If you have a sand or DE filter, the quickest way to get rid of over-chlorinated pool water is to backwash. Of course, refilling the pool with fresh water to dilute the existing chlorine takes a bit longer. And it costs money in terms of water bills. 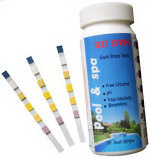 Plus, the addition of fresh water is going to throw your pH, alkalinity, and calcium hardness seriously out of whack: so make sure you test and adjust once you’ve finished topping up the pool. Or you could actually read the whole article before interjecting a solution that was previously covered by the author. Just an idea…..
What if your apartment complex keeps failing the test and doesn’t notify the tenants ? Wow….what a frickin idiot. Maybe you should complain to the management? Ugh, been there, done that, got the t-shirt. My pool is now full of children’s tears. Boy was that a mess to clean up. I think it is important to note that the appropriate free chlorine level should be based on the level of cyanuric acid. If the cyanuric acid level is 80, for example, 4 ppm free chlorine is not too high. In fact, it is too low for the chlorine to be an effective sanitizer. In my experience, if the water isn’t crytal clear (dancing diamonds in the sun and the ability to see the drain on the bottom), you’ve got a chemical imbalance that needs to be taken care of. Ok, so I was in Oklahoma last fall when the Rosenberg stealers were in town. I hadn’t had much sleep and I wanted to get some rest. I got in my hot tub to get a bit of shut eye before my big fight with audley Harrison at dusk. I drifted off and woke with one hell of a problem the chlorine in my tub had eroded my entire body. It was not enjoyable. Why do so many people feel the need to drain lakes and rivers in some countries but not others? Racially Integrated public pools and rivers and lakes polluted by industry. Solution: 1> stop being racist. 2> stop polluting the water. That means living without products that produce pollution. 3> admit your faults. I really over did the chlorine! Turned my water a weird shade of red? Worried about the new liner. We had our pool painted with epoxy paint in the spring. Someone left the chlorinator on too long which raised the chlorine to an extremely high level, twice. Although the levels are ok now, our feet, hands, knees, and bathing suits are ‘white’ when they come in contact with the pool’s paint. Can this be from the chlorine degrading the paint? If so, how do we treat it ?